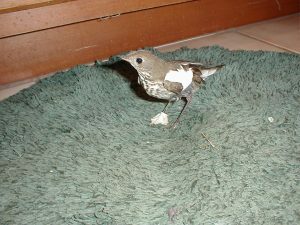 When my book “Flyaway: How A Wild Bird Rehabber Sought Adventure and Found Her Wings” came out in 2009, one of my favorite reviews was by Corey Finger of 10,000 Birds. 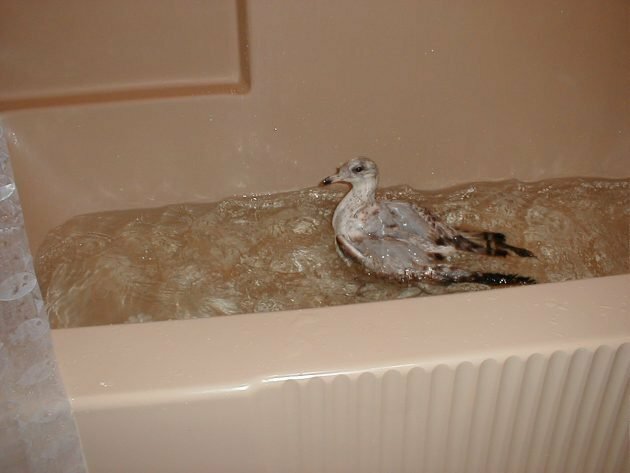 At that point I didn’t know about 10,000 Birds; I had been a wildlife rehabilitator and mother for years, with no time to surf the net for amazing birding sites. 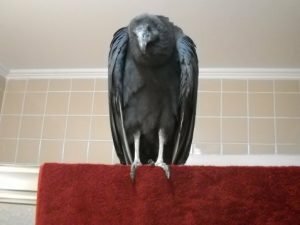 Corey is a birder, not a rehabber, but he understood what I was trying to convey – what makes rehabbers tick, and why we keep going, and why we need help. You can read his review here. When I finished reading the review, I clicked around the site that he and his fellow birder Mike Bergin had created. I was floored! I was used to photos shared by rehabbers – gory wounds, wince-inducing x-rays, fledglings with terrible feathering thanks to uninformed “rescuers.” Instead there were glorious photos of healthy birds in their natural habitats. I kept searching for a head tilt or a wing droop, but there were none to be found. Who knew? Not only that, the blog writers were fabulous. Their tales of birding trips to locales both exotic and mundane were exciting, informative, sometimes funny. Their comments about current events affecting the natural world were pointed, passionate, sometimes snarky. I had a blog of my own, but eventually I thought, I wonder if Mike and Corey would let a bird rehabber into their birder world? As much as I hate to leave, it’s time for me to take a sabbatical. I want to thank Corey and Mike for being such generous, enthusiastic, supportive hosts, even when something I’ve written incited outraged flame-throwing in response. Thank you to the multi-talented 10,000 Birds Beat Writers, whose company I’ve been happy to keep, and to the readers who have checked out my posts and then come back for more. And especially to my fellow rehabbers, who buck the odds every day and whose stories deserve to be heard. It was good to know you even for such a short while. “Sabbatical” means you’ll be back. Good. Until then, all the best. Looking forward to you returning in the not too distant future! Simon and Jochen, thank you – it’s been so great sharing the site with you, and I’ll see you again. Keep up those awesome posts! And Clare and Grant, thank you, me too! We’ll miss you lots and lots. But I am confident that you’ll be back. Or at least I wish I was. And I’ll be back, Corey! A belated farewell, Suzie. You added a unique perspective here, and I’m looking forward to your future posts when you return. Thanks so much, Donna! And may your fabulous globe-trotting birding adventures continue. Happy trails …. I thoroughly enjoyed your book and found this site thru you. Thank you all of your posts! Thank you, Laura! I appreciate it! Arctic Too Cold for Birds?